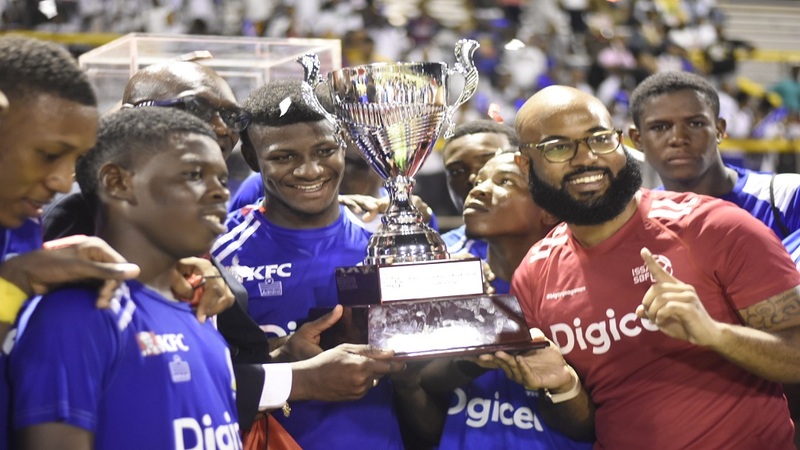 Jamaica College's players hoist the Champions Cup in celebration after defeating Jamaica College 1-0 in the final on Saturday night at the Montego Bay Sports Complex. (PHOTOS: Marlon Reid). 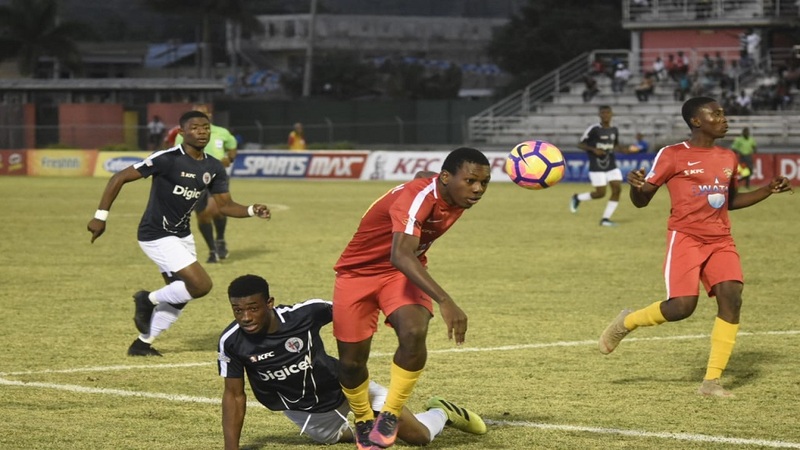 Cornwall College are the 2018 ISSA rebranded Champions Cup all-island knockout winners after beating Jamaica College (JC) 1-0 in the Grand Finale on Saturday night at the Montego Bay Sports Complex. The victory was achieved through a 19th-minute strike by captain Shavon McDonald. It was the first time that a rural-area school was crowned champions in the five-year-old competition that features the eight teams that won their second-round Digicel Manning Cup two-way play-off games and the eight teams that finished as winners and runners-up in their respective Wata daCosta Cup quarterfinal groups. JC, the inaugural winner in 2014 when the competition was called Super Cup before it was rebranded this season to Champions Cup, were trying to become the first school to win the prestigious title twice. 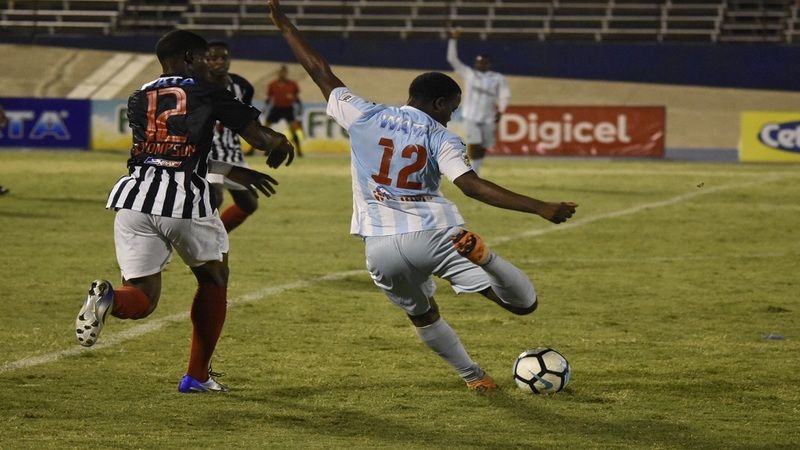 Cornwall College took the lead after a fairly calm start to the match when McDonald turned brilliantly to dismiss his marker and dribbled to the edge of the six-yard box to fire across goal and into the net. Although Cornwall College controlled the action for most of the rest of the half, it was JC that went closest to scoring on two occasions. Both times Calwayne Allen hit the crossbar, the first from a direct free-kick and the other from a long-range shot, with goalkeeper Peter Sinclair well beaten each time. Cornwall College controlled most of the action in the second half, but JC were unlucky not to find the equalizer on a few occasions. The match ended the 2018 season for JC without a trophy. 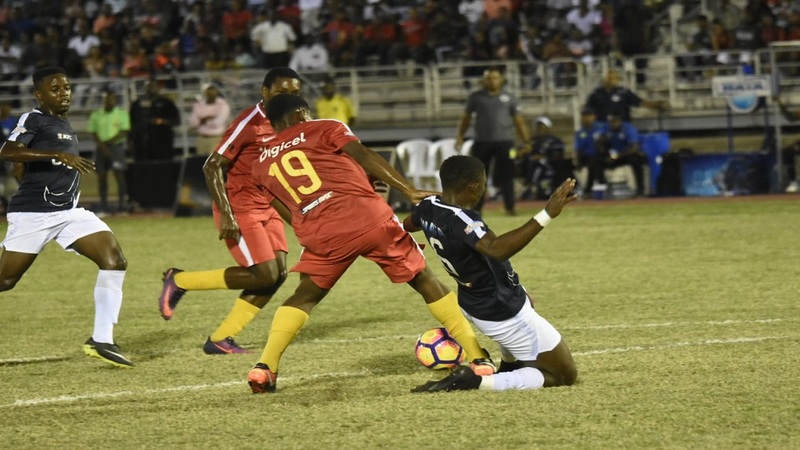 JC, which were attempting the win six straight Manning Cup titles before St George’s College eliminated them at the semi-final stage on Wednesday, finished the season with 15 victories from 20 games across the Manning Cup and Champions Cup while losing three and drawing two. 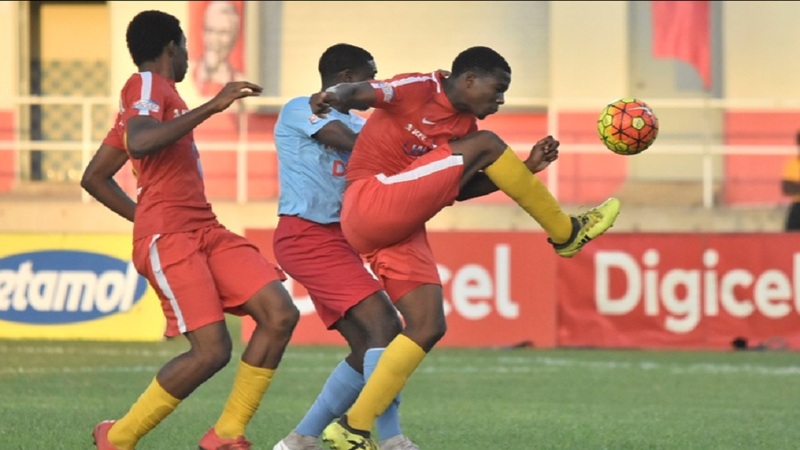 Cornwall College will now turn their attention to the daCosta Cup final against Clarendon College on December 1. 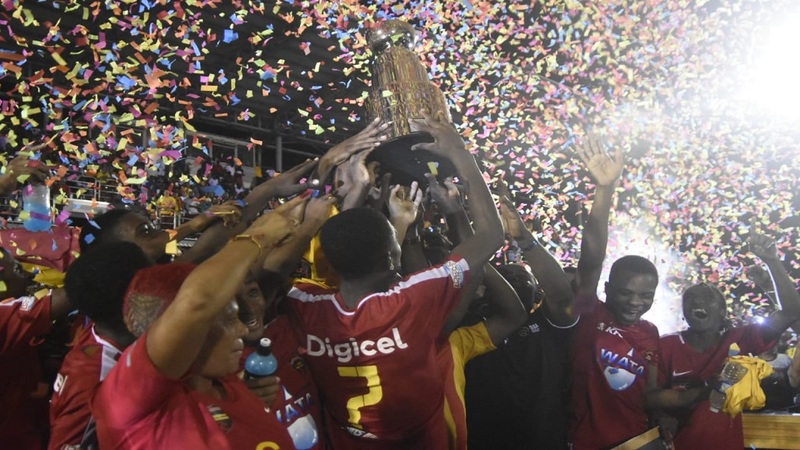 Cornwall College received $1 million along with the redesigned Championship trophy, while JC were presented with the runners-up prize of $500,000.